Last night I wrote the last words of my latest novel. 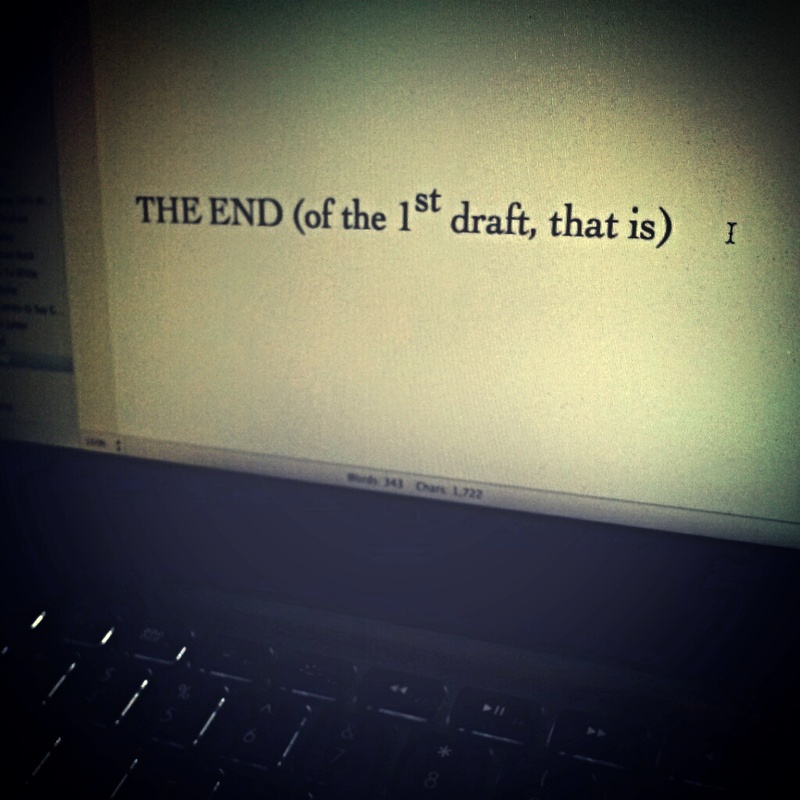 Well, the last words of the first draft, that is. I posted to Facebook, downloaded the latest Mac software, brushed my teeth, went to be, read for an hour, fell asleep. No major celebration. No binge eating popsicles. No sobbing my eyes out. Because the job isn’t done yet. In fact, it’s just now getting fun. 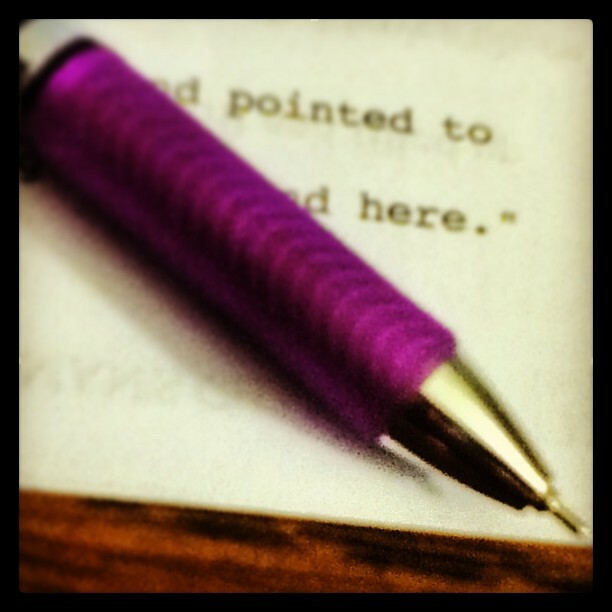 Now I get out the purple pens and slash through my story. I’m going to amp up a few characters and kill off a couple more (I know, heartless). I’m going to exterminate weasel words (those tricky verbs that I use over and over). I am going to x out what doesn’t work and build up what does. Where the drafting stage (when I write the first version of the novel) is like a pressure cooker that builds and builds until the top blows off and I write like a mad women, the editing stage is where I pick through what blew out of the pot and piece it all together. I find that, for me, the editing stage necessitates more of my creative juices and much more focus. The editing phase is where I take a rough construction of a novel and turn it into something meaningful. It’s where the real story telling happens. Editing is the fun part. So, what do you think? Are you a writer? How do you feel about editing? Are you a reader? Have you ever found holes or parts of a novel you wish would have been edited better? ← So, You Want To Write A Book, Eh? LOVE editing. But you expected that response from me. Congratulations on those final words (of the first draft)! Ugh! I just came up for air after slaving to get a piddly 150 words down tonight. This sounds exhausting at the moment, but also a lot of fun. I’m glad you’re excited! Congrats on getting the story down. I hope you have lots of fun on the playground you’ve created! And thank you. I like that you called it a playground. Personally, I wouldn’t let my kids hang out on this playground I’ve created…but I’m enjoying myself! Way to go Susie! 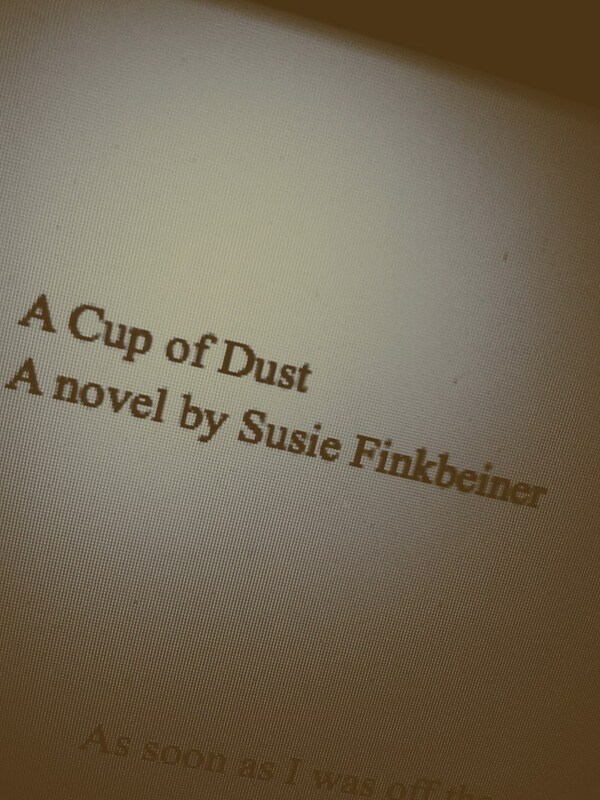 I can’t wait to read “A Cup Of Dust” when it’s completed! Ah, Myrna! Ever the encourager! Thank you! You go girl. Edit that Beast. I spent seven years working as a freelance editor, and I loved every minute of it. I worked people hard, and they loved me for it too. I love whittling articles down to the requisite word count, I love shaving off rough edges in professional pieces. Editing is a skill I posses. Having said that, however, I’ve finally come to the conclusion that I cannot edit my own novels. I’ve tried. Pushing words around creates mud where there once was clarity, and there are so many ideas swirling round my head, and negative voices criticising that all vision is lost. I’m still not sure how those two facts can co-exist inside one brain, but there you go. I realised recently that, instead of editing, I have to rewrite. Everything. From scratch. If I end up cutting and pasting huge chunks from my original then it shows that it was good enough in the first place. I think this has something to do with the way I “get into character” in order to write. Odd. But it works. Oh, I nearly forgot. Congratulations on finishing draft one as well. Good luck with the edits! I wonder if you are able to have an objective mind with other’s work that you just aren’t able to have with your own. It makes sense, really. I’m opposite. I’m much better at editing my own work than something other people have written. Interesting that we’re opposite in that way.